Oh, He is my song. 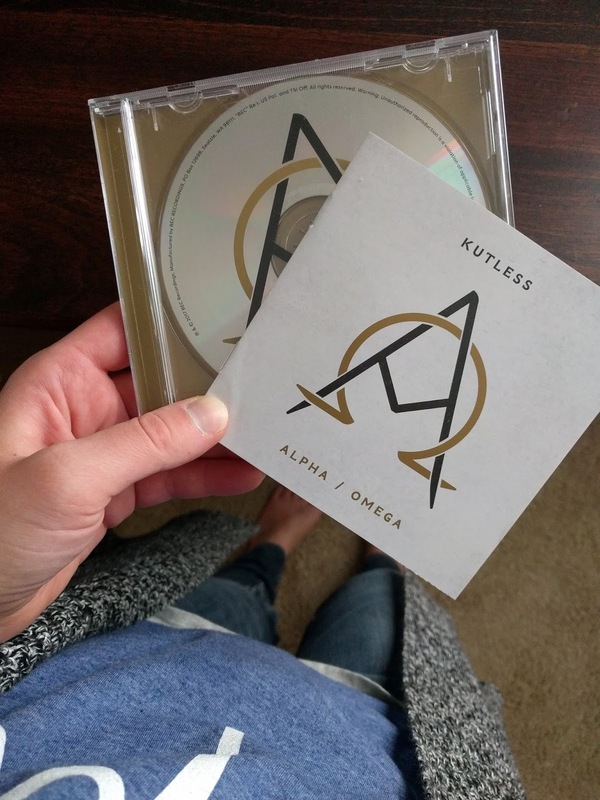 . . "
On the album, Kutless does its own covers of "Your Great Name" (which I typically hear Natalie Grant sing on the radio), Your Love Awakens Me (Phil Wickham), and Great Are You Lord (All Sons and Daughters). I LOVE that song. All ten tracks are very gospel-centric, speaking of the intense love that Jesus has for all of us, and I really like their voices! They redo their 2005 hit, "Strong Tower" to honor this being their 10th studio album. All in all, ALPHA | OMEGA is a great album to add to the collection, to listen to in the car, to enjoy on a Sunday morning when you're getting ready for church, or really any time. For purchase options, click here. And enter the Raffecopter below for a chance to win a copy!